The Green Team working with Pamela Griesemer of Keramida Inc., regarding future redevelopment of the Carrier-Bryant brownfield site. 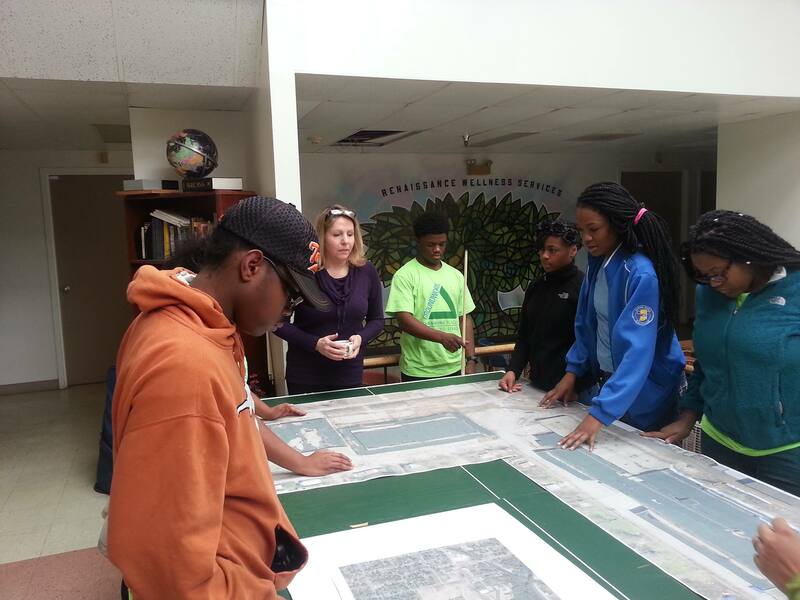 Groundwork Indy and its Green Team are part of a planning and community engagement process focused on the revitalization and utilization of the 19-acre Carrier-Bryant property, which previously housed a warehouse. A brownfield site that has now been remediated, the Carrier-Bryant property is a target of illegal dumping, as it is still viewed by many as an abandoned property. 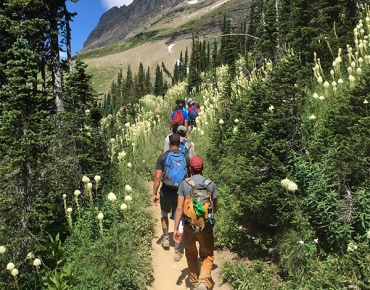 The Green Team has been involved in brainstorming potential site re-uses, which include creating a wildflower garden and planting trees. 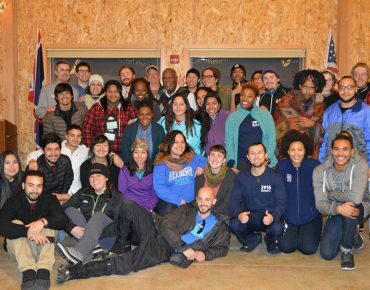 As an Urban Ambassador for Mountains to Main Street, a National Park Service initiative designed to actively engage under-represented urban communities with the national parks, Groundwork Indy Program Assistant Cheria Caldwell, developed and implemented “Shedding Light on Dark Situations,” a program involving Mammoth Cave National Park in Kentucky. 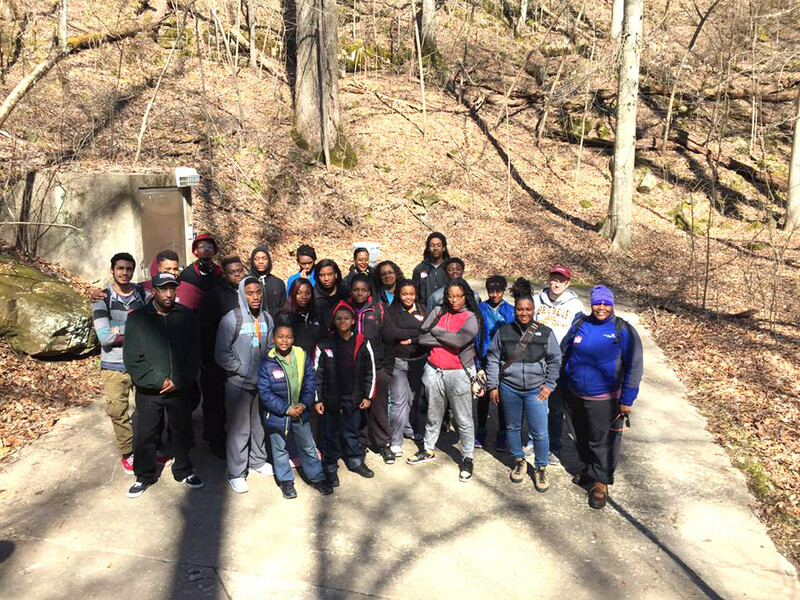 Caldwell brought 24 Green Team and community youth of color to Mammoth Cave to explore the national park and participate in a program designed to address some of the anger management and conflict resolution challenges the youth face on a daily basis. 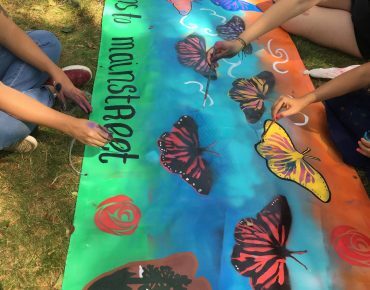 In its first year, the Groundwork Indy Green Team has explored the city of Indianapolis and the work of the Trust’s partners. 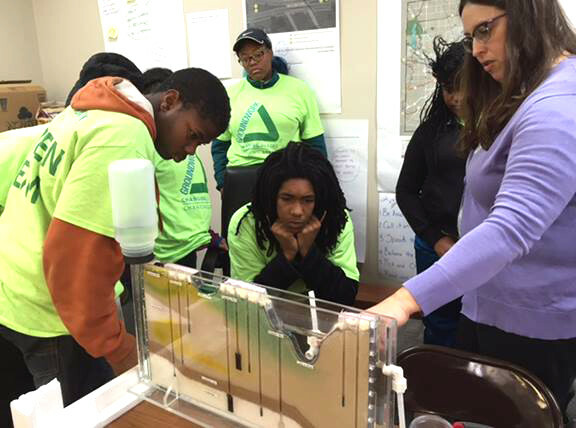 The youth have experienced everything from cutting invasive species and learning about aquaponics to studying urban water systems and learning how to use WordPress and other communications software.